I am the rose of Sharon, and the lily of the valleys. I have always enjoyed singing rounds. The harmony is simple. However, there needs to be a close connection between the singers. One of my favorite childhood rounds is “White Choral Bells.” This is such a delicate flower with a sweet fragrance. I recently used this round at an assisted living home. Several of the residents were able to sing along and smile at their long ago memories. 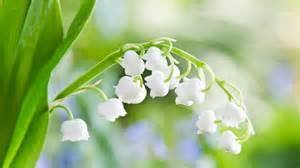 White choral bells upon a slender stalk, lillies of the valley deck my garden walk. Oh, don’t you wish that you might hear them ring? That will happen only when the fairies sing! Spring, a time for joy, love, and laughter.